Lori Whitlock is a crafting genius! 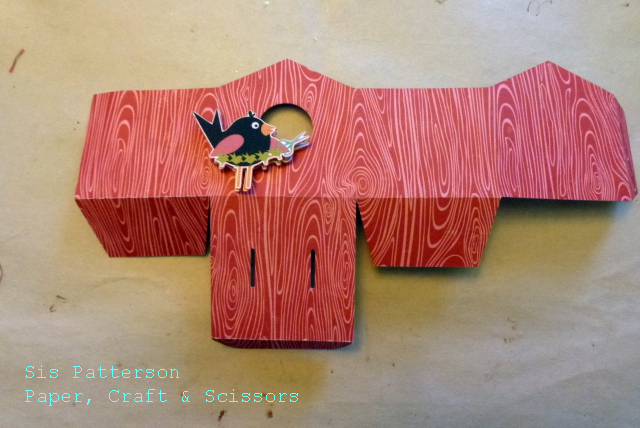 And her latest 3d bird house favor box (available at the Silhouette Online Store) is no exception. I used some Christmas paper I found on sale for the red faux bois bird house base (Jillibean Winter Tortellini and Spinach Soup Paper) and My Mind’s Eye Sweetest Thing for the roof. The crafty bird is from Lettering Delights Crafty Bird cut it set. The bird measures about 1.25 inches tall. I printed and cut two birds with a small offset. I attached one bird with a thin foam square to the box and placed the second bird directly on top of the first with a thin foam square. Assembling the box was relatively easy. After I folded all of the score lines, I cut a 24″ piece of ribbon. The ribbon keeps the roof attached to the house. Run the ribbon length through the two slits on the box. 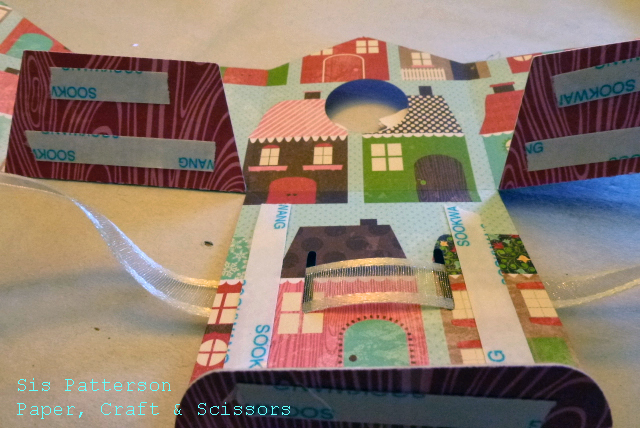 Making sure the ends meet, add ScorPal tape on each side of the ribbon (inside the box) and on all of the flaps. First, adhere the flaps to the right and left of the center. These flaps should align perfectly on the bottom and completely cover the ribbon loop on the inside of the box. Next, fold in the flaps and adhere when once you are satisfied that your sides are square to one another. To assemble, simply put the ribbon through the slits in the roof and tie in a bow. Trim ribbon as desired. I also added a small tag (from the Silhouette Online Store). I used the Print and Cut feature to add the sentiment. This is so cute and I love your interpretation of Lori Whitlock’s box! Perfect paper choice too! I love that you used the print and cut feature to get the sentiment on the tag! Perfect project! I am sure your recipient will adore it! I love Lori Whitlock. It seems like every image I like on Silhouette Studio is hers! This is SO tweet!! And I totally agree with your thoughts on Lori. OMG! This is so super cute! What a neat idea! 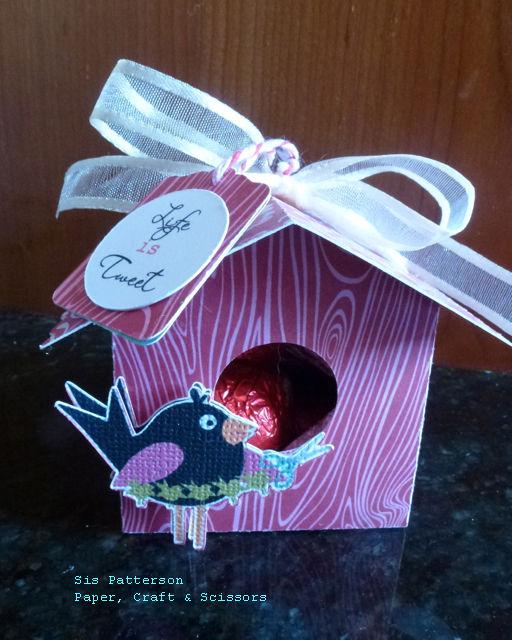 Fabulous little birdhouse : D.
I seem to have dropped out of your email list for blog posts. Boo hoo. I re-signed today. Hopefully that fixes it. Of course, that just means I have more than one fabulous Sis post to look at this morning. Love this adorable little bird house…it takes a confident bird to live in a red house. 😉 What a sweet little treat holder. 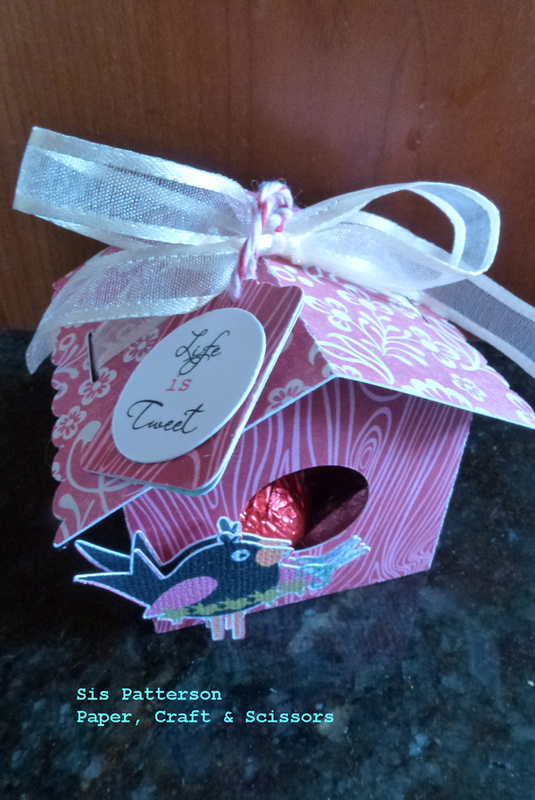 I love that your bird lays chocolate eggs….where can I get me one of those?! Adorable as always, my dear.